Here at ABINGTON DENTAL PRACTICE we will work together with you to secure and maintain your oral health. In order for our efforts to be successful we will really need you to be as committed as we will be to maintaining your oral health. As a patient, you will have expectations of us and the dental care that you receive from us, and likewise, we too will have expectations of you. Therefore, we would like to outline our commitment to you and your dental care and also to outline the expectations that we will have of you, as our patient. 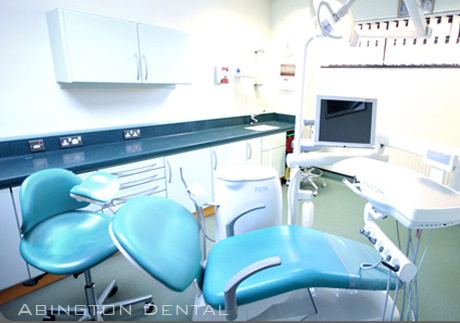 To provide the highest quality dental services, the kind of dentistry we would like to receive ourselves To make your treatment as comfortable and convenient as possible To look after your general health and safety, while you are receiving dental care To inform you as soon as we can if we have to alter your appointment. To understand that there is a greater commitment and responsibility to care for their general and dental health To settle their fees promptly as per practice protocol (kindly note, NHS payments are due at the start of any treatment) To inform us if they have to cancel so that their time is allocated to emergencies and to avoid charges for broken appointments. We try our hardest to keep our practice modern and contemporary to give you the best patient experience, and now offer a text service for appointment reminders. Disabled access and other facilities are also available.